We are on a kick with our make ahead freezer meals. Boy are these lifesavers! It has made meal planning a breeze this week. As you may recall last week one of my sister-in-laws and I spent a day preparing meals for the freezer. 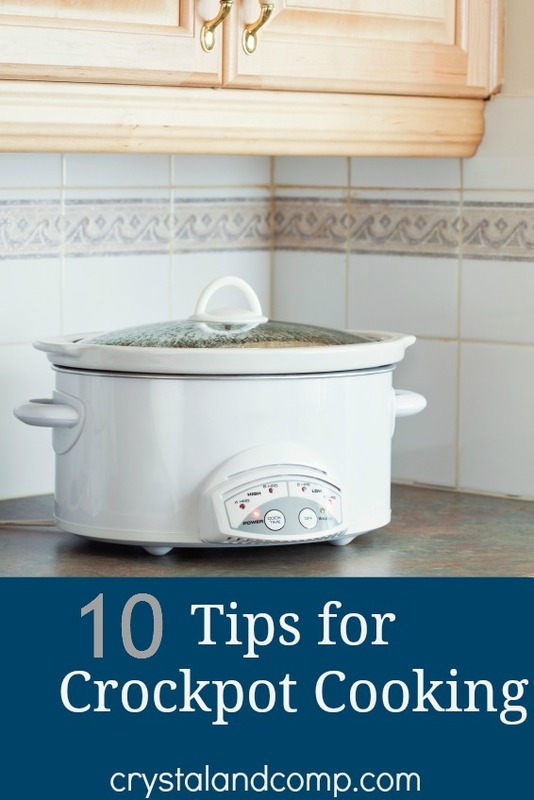 This was a hot topic at a recent mom of preschoolers event that I spoke at and I promised the ladies in attendance that I would do some leg work for them to make freezer meal planning easy. I did freezer meals years ago, but I attended a group where someone else did all of the planning, shopping and organizing and I just showed up to help assemble. Click here if you need resources for getting started with freezer meal planning. 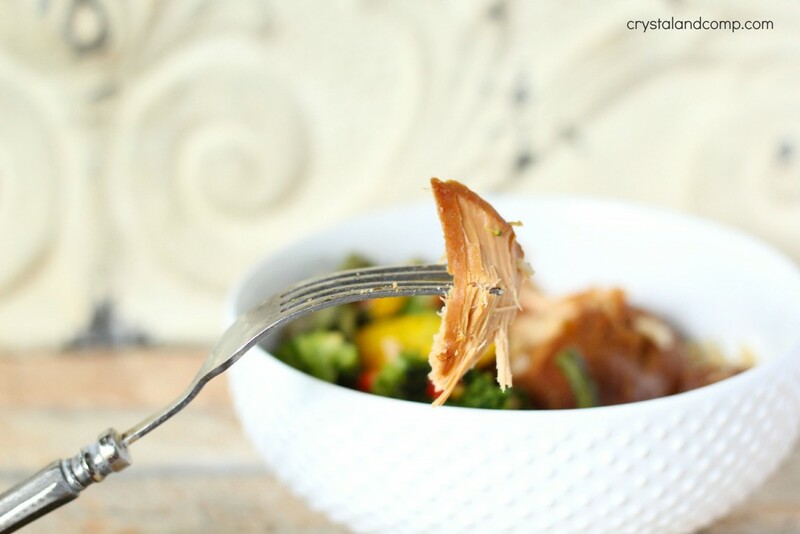 Today I am going to share with you our slow cooker pineapple chicken recipe. Please ignore the fact that there are 4 cans in pineapple in the below photo. That was an accident. Label your bag with a permanent marker. 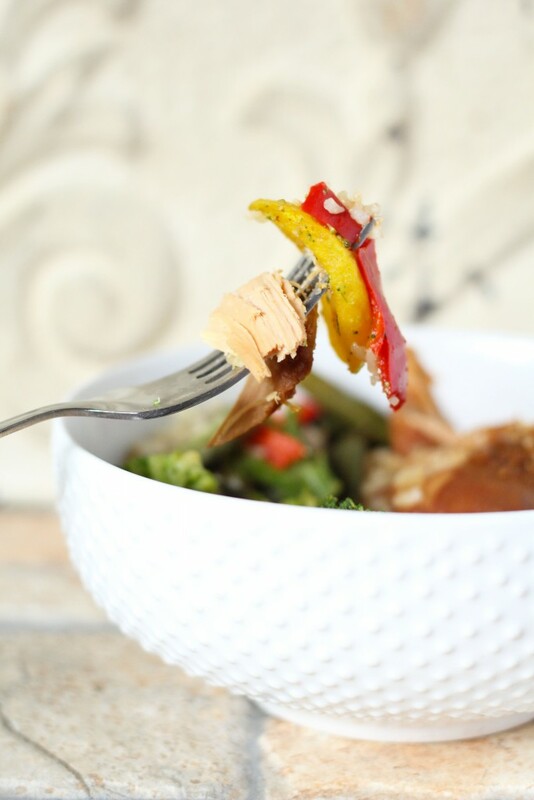 I labeled this Slow Cooker Pineapple Chicken. This could also be baked in the oven if you choose not to use the slow cooker. 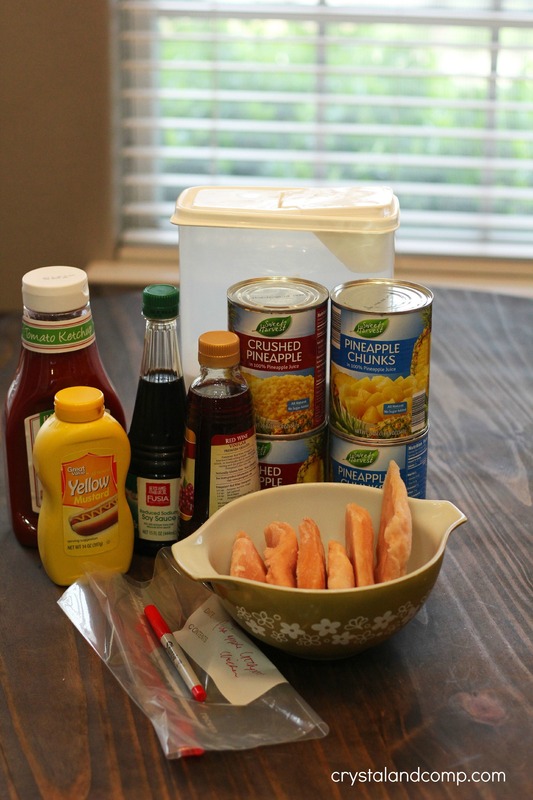 In a bowl mix the sugar, pineapple juice, soy sauce, ketchup, mustard and red wine vinegar with a whisk or fork. Place the chicken breasts in the gallon size ziplock bag. Pour the marinate you just made in the bowl over the chicken. Toss in the pineapple tidbits and chunks. Seal and shake the bag to evenly coat the chicken. Pop it in the freezer until you’re ready to cook it. Once ready to cook defrost in the fridge over night. You could also cook on low for 8-10 hours. Or, you could bake in the oven in a casserole dish at 350° for 1 hour until the juices in the chicken are clear. I served this over rice with mixed veggies. You could also serve this with a side salad and rolls if you choose. There will be plenty of marinate in the crockpot that you can drizzle over the chicken and rice. Wondering how many meals we made in one sitting? My sister-in-law and I spent one afternoon shopping and prepping meals for the freezer. 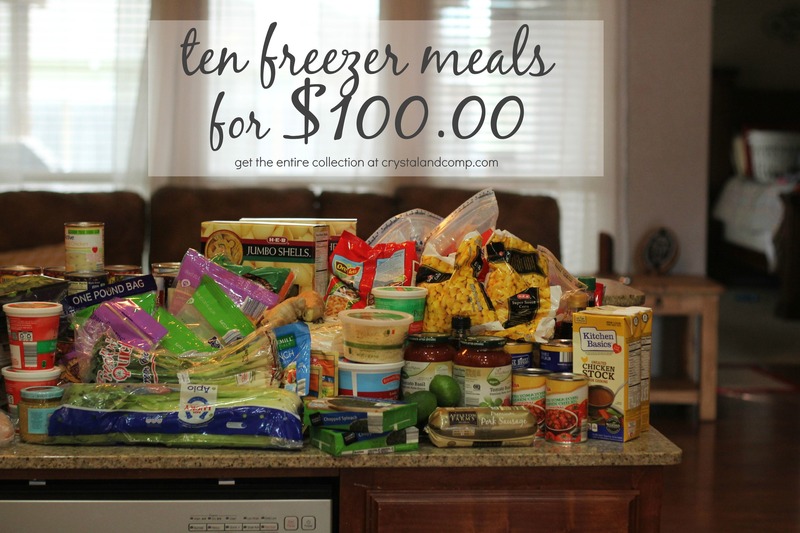 We created ten meals for each of our families and only spent $100 each. I love simple freezer/crockpot meals. Sounds delicious! We loved it! Give it a try.